Being a worshipper of affordable fashion, Street Shops happen to be my fashion temple. 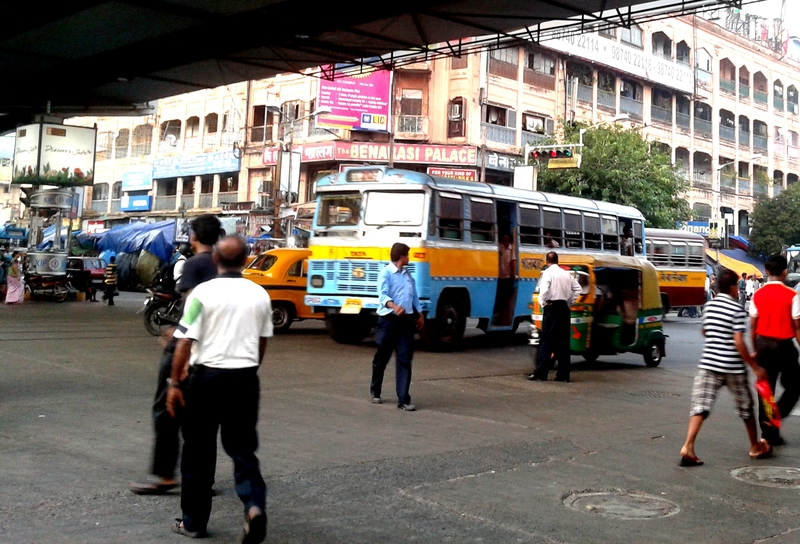 For a Kolkatan, nothing could beat shopping at Gariahat. I don’t think any other place could be as fashionably cheap. 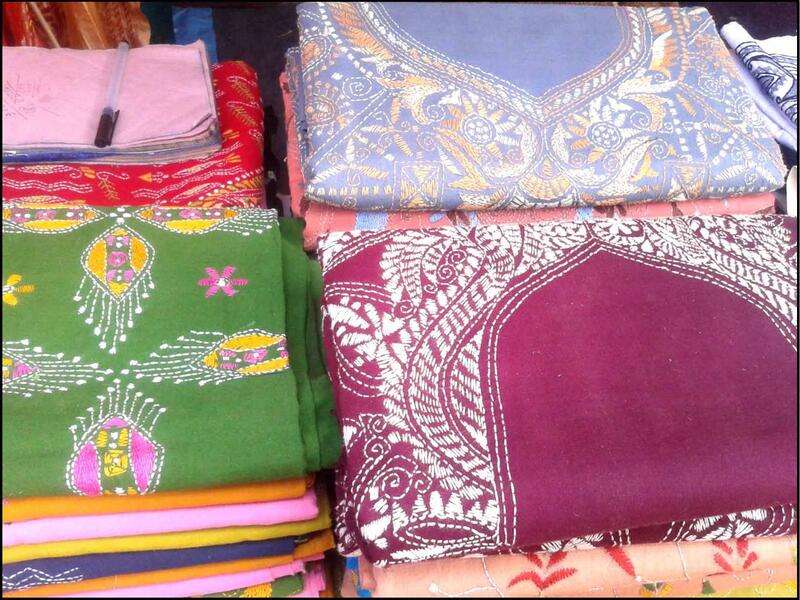 It was during one such shopping spree, when I came across this corner selling amazing “Kantha” worked kurtis. 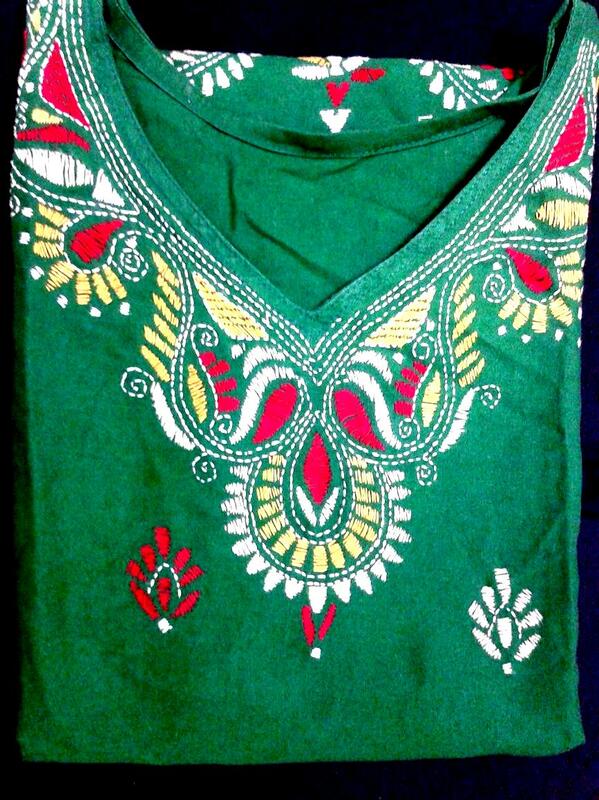 “Kantha” is a traditional embroidery work from Bengal. This work is commonly done on Silk and Cotton. 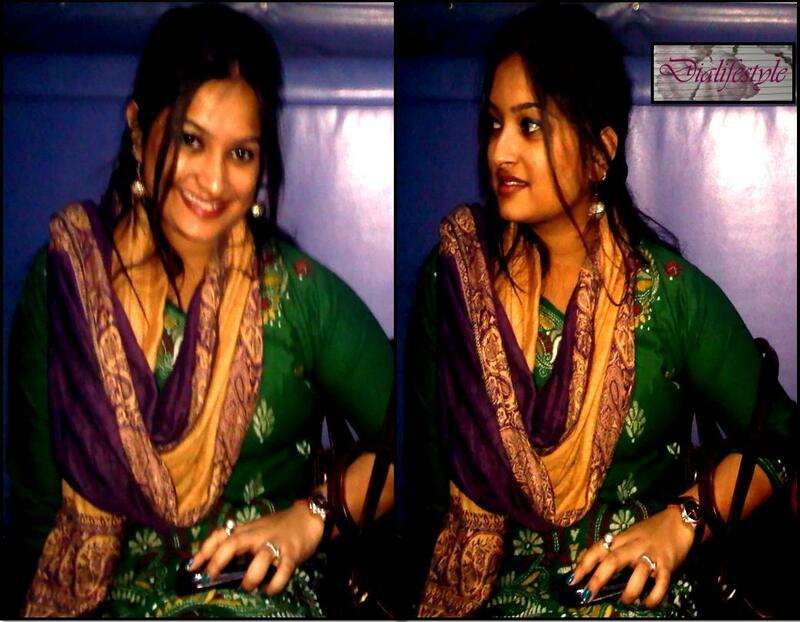 Originally, from Shantiniketan, West Bengal, this work has become increasingly popular in Saris, Salwars and Kurtis. This shop was on one of the footpath in Gariahat’s popular “Chaar Matha More”, precisely near the bus-stand towards Ruby or Science City. These kurtis come in different colors. But one limitation is the size. It is available in one standard size, mostly large. But there’s no reason to be upset. They also sell ready to stitch materials with similar embroidery work. 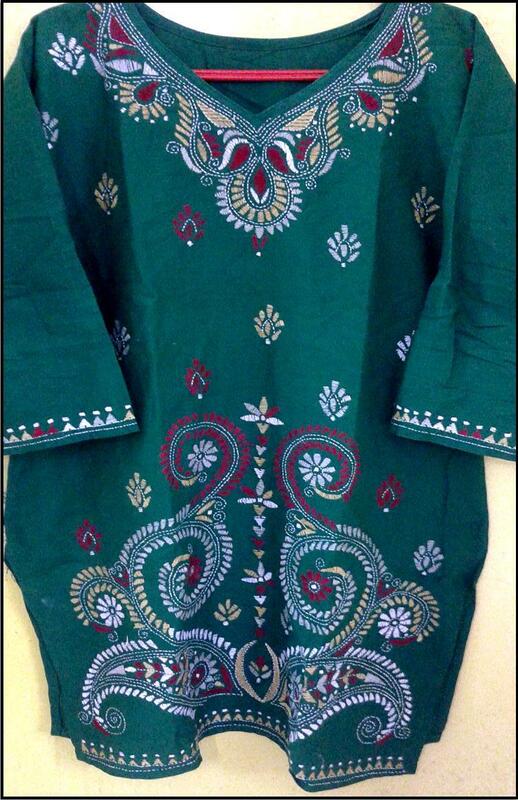 The stitched kurtis come in the range of Rs180 to Rs250. You could even get lucky if you are good in bargaining! These kurtis look great when teamed with mono-colored leggings or plain black skinny jeans or jeggings. You could add a stole. Since it was winters I carried a Pashmina stole. 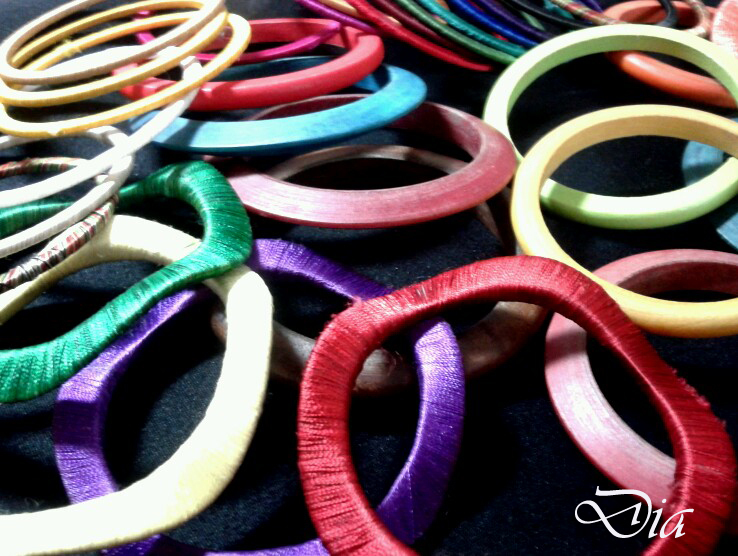 Thread or wooden bangles go very well with these kurtis. You can buy them from Gariahat itself. Even silver works great.